He was recording me, I saw the red button light blinking. I looked at the camera and thought about the context of the question he was asking me, paused to think about all the ways my answer could be misinterpreted. “No,” I said, “I wouldn’t take the pill,“ and like any good politician, stopped there. But the question has lingered in my mind for some time and I wonder if I lied when I answered. I have thought about it almost every day since that interview, and think I was. 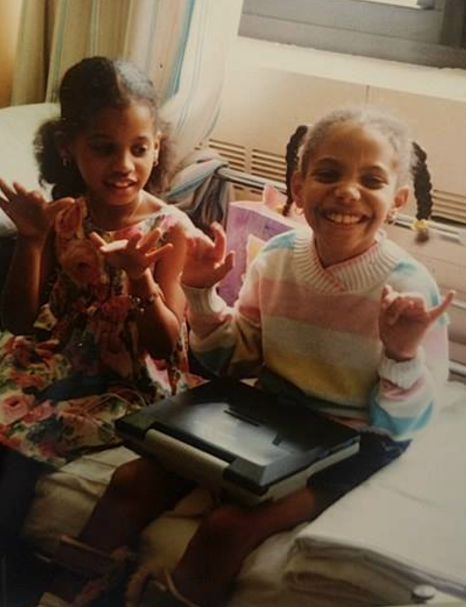 When I was nine or ten and recovering from meningitis, the disease that made me deaf and ravaged my body and temporarily left me using crutches to walk, my mother took my sister and I on a trip to eat seafood by Orchard Beach, a beach by the seaside in the Bronx. After we ate, my younger sister ran in front of me into the beach outside the restaurant. “Come play with me Mariella!” she yelled. I was dependent on the crutches despite my physical therapist saying it was time to try walking without them. It was easier to use the crutches instead of building up strength on my foot and leg muscles. The crutches were literarily and figuratively the crutches of my life, something that prevented me from doing the hard things I needed to do and did not want to do. As my sister called out to me, I tried to run after her, but the metal digged deep into my arm. Suddenly, I turned a little too quickly, lost my balance, and slipped. I lied in the sand and cried. My mother looked at me menacingly from the edge of the sidewalk. She looked at me crying in the sand, walked over and snatched the clutches from my arms. 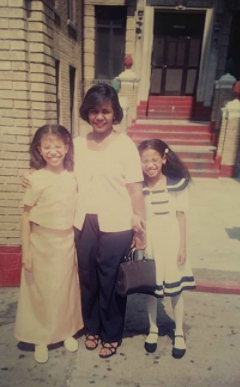 As a afro-Latina woman she knew at that point something that I had yet to learn, that the world would not coddle me. That the world would look at the crutches and see something that she didn’t want the world to see. She saw that I was able to do something and didn’t want to. She saw I was ready and didn’t want to be ready. She did what she felt she had to do and she did it the best way she knew how. My mother set out to begin the painful process of toughening me up before the rest of the world did. My entire childhood after loosing my hearing can be summarized in that story, I was about getting rid of crutches so I could be as normal as possible. The cost was a big one to pay. Physical therapy instead of hanging out at the park. Hearing therapy instead of birthday parties. Speech therapy instead of playing video games. English lessons instead of trips to visit family in the Dominican Republic. Hearing evaluation instead of the new Barbie car. Appointment after appointment after appointment. I have often asked myself what my life would be life if I did not have my hearing loss, if I had not been in a wheelchair for close to a year, if I had not had those crutches. No doubt, my life would be different. I would be different. I often asked my mother why God made me deaf, why I had to get meningitis, why the things that were happening to me were happening to me? Mami always said that “life is like a lotto. Some people win and some people lose but life always plays with everyone.” As I think back I realize all of us have something. My something is that I have a hearing disability and I still get tired when I walk long distances. And the more I think about it, the more I realize I was lying. I would give almost anything to be able to not have my hearing loss and to not have to use a cochlear implant to hear. I would love to be able to hear the sound of water when I shower without worrying about the equipment getting water. I would love to ride really fast rollercoasters and hear the screams of my sister as she has a near heart attack without having to worry about my hearing stuff falling. I would love to go to sleep every night knowing I will hear the fire alarm without having to double and triple check that the visual alarm works because I hear nothing when I take off my hearing equipment. But that’s not my reality. I have a hearing loss. I’m a deaf person. And the more I think about it, the more I realize I lied during that interview. My hearing stuff at such a young age is some traumatic stuff to go through. No doubt. Would I take it back, maybe. My reality, however, is that there is no pill and I don’t have time to occupy myself with things I can’t change. Needless to say, thanks Ma, for getting rid of the crutches in my life.